Cameron is a surgical resident completing a two year health systems research fellowship at the Surgical Outcomes Research Center in the Department of Surgery at the University of Washington. His research interests include health system assessments to improve patient’s access to surgical care, surgical clinical outcomes, and global health. His contributions to mPOWEr will focus on improving implementation strategies and measuring clinical outcomes. Cameron received a BS in physiology for the University of Washington Honors College before entering the University of Washington School of Medicine and earning an MD with honors. 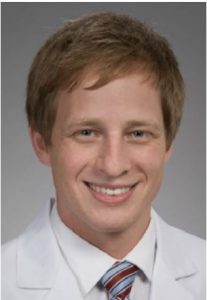 He then matched into the General Surgery residency at the University of Washington, completing the first three years of surgical training prior to entering his current Schilling Research Fellowship. In addition to research, Cameron is currently pursuing a Master’s in Public Heath from the University of Washington Department of Global Health.